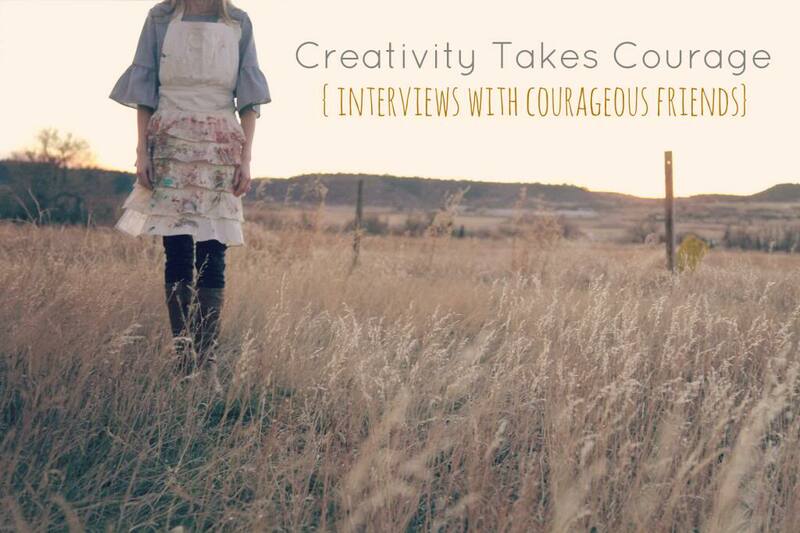 This month you are getting a second Creativity Takes Courage interview (lucky us) and this one is with the multi talented Jane Davenport! Jane was one of the teachers in the last Studying Under The Masters online art course and her love of learning and exploring art, techniques and mediums is contagious. 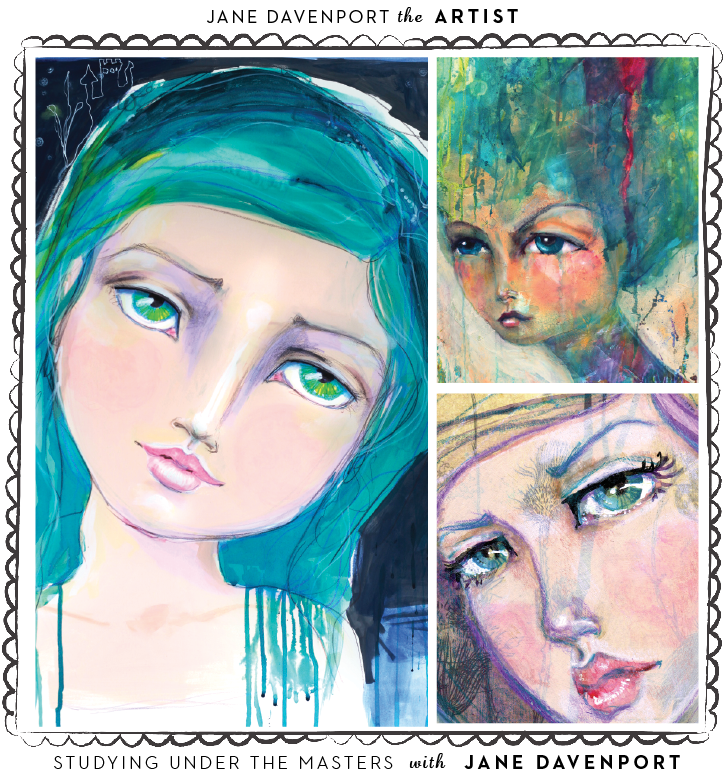 Jane has a distinct style of painting her girls that is whimsical, mysterious and very illustrative. This was such a fun interview and I learned so much about Jane, her background and things about her personality that give her no choice but give it her all no matter what she does. 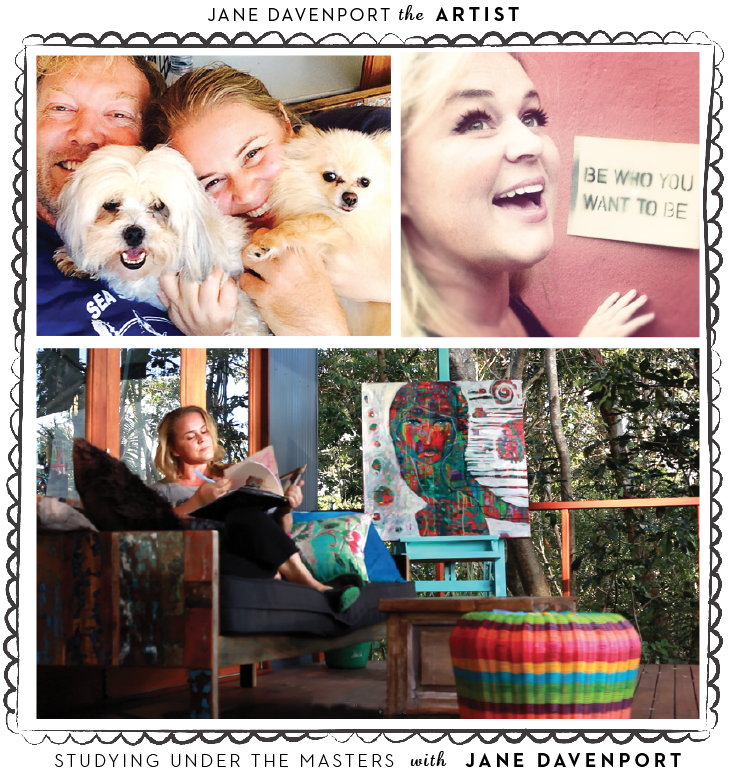 If you have many different gifts and passions and don’t know which one to choose…this interview is for you! 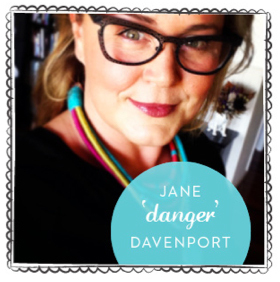 Jane ‘Danger’ Davenport is an internationally collected artist, prize-winning author, popular workshop leader and she loves to draw faces! Danger’s online Art School is home to thousands of creatives from all around the world and her ‘Whimsical Face’ DVD with Cloth Paper Scissors has been a hugely popular since it’s release. Jane’s artwork has featured in a wide array of media from The Wall St Journal to major motion pictures and her own stationery ranges. She designs signature art products for Artistcellar and Peerless watercolor, hosts Escape Artist retreats from Paris to ‘The Nest’, her studio in Byron Bay, Australia. 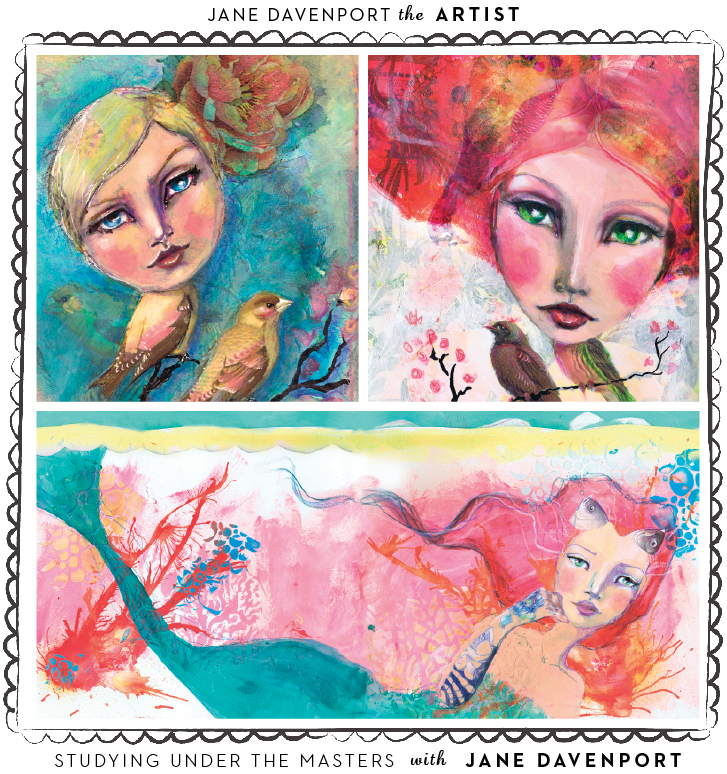 Her first Mixed Media book will be released on Jan 1st with Quarry.